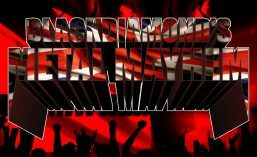 It’s time for the last Blackdiamond’s Metal Mayhem of 2018! The show on Tuesday 18th December will take a look at my choices for the Top 10 Albums of 2018 – tune in to find out what they are! Tracks from those albums will be the focus of the first half of the show on http://www.totalrock.com from 6PM GMT. Part two will feature a few of the latest singles from LEFTOVER BULLETS, IN FLAMES, CHILDREN OF BODOM, OVERKILL and BAD TOUCH, as well as a few metal Christmas and party tunes to end the year, don’t miss it! MERRY METAL CHRISTMAS & A HAPPY NEW YEAR! This entry was posted in Radio Shows and tagged Blackdiamond's Metal Mayhem, Top Ten Albums of 2018, TotalRock. Bookmark the permalink.